Present state: Building demolished but the up (towards Wrexham) platform extant survives although now it is quite degraded. Notes: Moss & Pentre station was situated on the Wrexham, Mold & Connahs Quay Railways (WM&CQR) Brymbo branch which ran from a junction (known as Brymbo Junction) with the company’s main line just to the north of Rhosddu to Brymbo. The main line had opened from Wrexham to Buckley on 1st May 1866. Brymbo was a well established industrial centre for the metal industry by the time the WM&CQR main line was opened and, surrounding the town, there were many collieries. The first railway to reach Brymbo had opened in 1847, but its course followed gradients too steep for locomotives to tackle. Rope-hauled ‘inclined planes’ were required to move materials up and down the valley. The GWR opened a branch to Brymbo from Cross Newydd in 1862 on a route that locomotives could work. It was with this route that the WM&CQR wanted to compete. It was not until 18th August 1882 that the WM&CQR obtained a Bill to construct its line to Brymbo, and it took six years to build, opening to goods services in 1888 - although the section of line through Moss & Pentre had opened for goods in the autumn of 1887. Moss & Pentre station was just short of 3 miles from Wrexham Central and opened on 1st August 1889. The Brymbo Branch was single-track, but at Moss & Pentre there was a section of double track to allow trains to pass, so the station was provided with two platforms. Located in a cutting, the station had a small brick building on the Wrexham-bound (‘up’) platform and a simple waiting shelter on the Brymbo-bound (‘down’) platform. 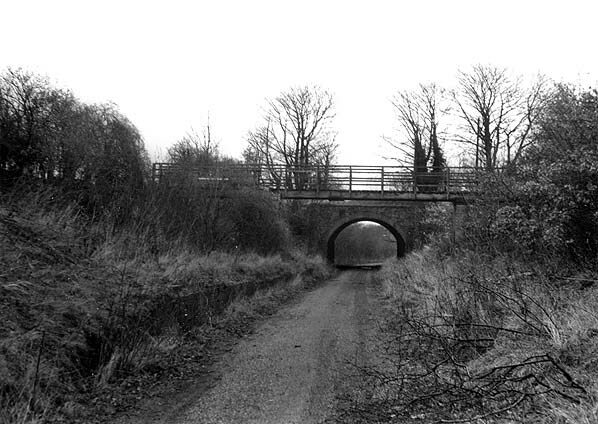 A footbridge spanned the cutting above the station towards the north-eastern end. To the east of the station the GWR Moss branch passed over the line on a stone arched bridge. Just to the south of the station was the Gatewen Colliery which had a connection to the Brymbo branch to the north-east of the station. The first passenger train from Moss & Pentre departed for Wrexham Central at 8.12am on the day of opening. A smartly turned-out engine, wearing a fresh coat of paint, hauled five coaches on the first run. The first timetable had four trains in each direction on weekdays running between Brymbo and Wrexham Central. Two additional services ran in each direction on Saturdays. In 1891 there were still four trains in each direction but there were extra services on Mondays and Saturdays. The Saturday service included six extra trains to Wrexham Central with eight return workings, the last leaving Wrexham Central for Brymbo at 10.05 pm. The service proved very popular with local residents who travelled into Wrexham for shopping trips and, particularly on Saturday afternoons, to visit the pubs of the town. So popular were the Saturday evening trips to Wrexham that a policeman had to be deployed at Wrexham Central station to ensure that the drunken crowds boarded the Brymbo-bound trains and thereby got out of Wrexham. In 1900 the timetable remained similar to that of 1891. On 1st January 1905 Moss & Pentre became part of the Great Central Railway (GCR). The GCR had embroiled the WM&CQR in a scheme that brought about the construction of a line from Shotton to Bidston where a connection was made with the Wirral Railway (WR) thereby providing access to the lucrative docks at Birkenhead. The scheme had stretched the WM&CQR to bankruptcy, and the GCR took full advantage of the situation. Train services at Moss & Pentre continued to run to Brymbo and to Wrexham Central much as they had done in WM&CQR days, but additional halts were opened on the branch by the GCR at Highfield Road and at New Broughton Road. On 1st May 1905 the GWR introduced a passenger train service operated by a ‘railmotor’ on its Moss branch. They opened a halt a short distance to the north of Moss & Pentre station: known as Pentre Broughton, it was better situated for the nearby villages than was Moss & Pentre. At the same time at Brymbo a similar situation had occurred when the GWR opened a halt in the centre of the village. A great deal of passenger traffic was lost to the GCR who also introduced a ‘railmotor’, but it could not compensate for the inconvenient location of the GCR stations. Also towards the end of the decade motor bus competition began to further erode the GCR’s passenger traffic. On 1st March 1917 the GCR withdrew the passenger service from Brymbo to Wrexham Central, and Moss & Pentre station was closed to passengers. The original purpose of the branch had been to carry goods and it had always had more goods than passenger trains; it therefore remained lucrative to the GCR. On 1st January 1923 Moss & Pentre became part of the London & North Eastern Railway (LNER). In 1932 Gatewen Colliery closed. On 1st January 1948 Moss & Pentre became part of the nationalised British Railways (Western Region). Moss & Pentre’s Wrexham-bound platform and station building survived intact until 1948, but the line had been singled possibly after the closure of Gatewen Colliery. On 30th November 1954 British Railways closed the line through Moss & Pentre from Plas Power to Brymbo Junction North Fork. The track through the station remained in situ for a few years but it was lifted in 1958. In 2011 the trackbed was in use as a footpath, and much of the Wrexham direction platform could still be seen. The Wrexham & Minera Railway article in Railway World, Rex Christiansen – Feb. 1987. Route map drawn by Alan Young, Bradshaw from Chris Totty. Although closed for over 30 years the main station building on the up platform at Moss & Pentre still appears to be in good condition in 1948. The 1947 1" OS map still shows Moss & Pentre as a closed station. Plas Power is the only other station on the branch still shown at this time. Looking north east at the remains of Moss & Pentre station in April 1959. 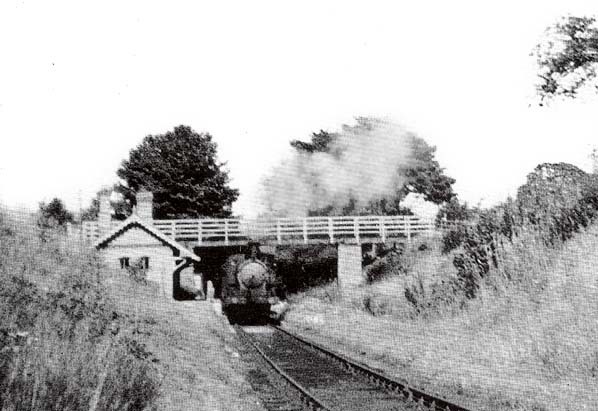 The station had closed more than 40 years earlier and the line had been lifted in 1956. Looking northeast at Moss & Pentre station in February 1980. The former up platform can clearly be seen to the left. 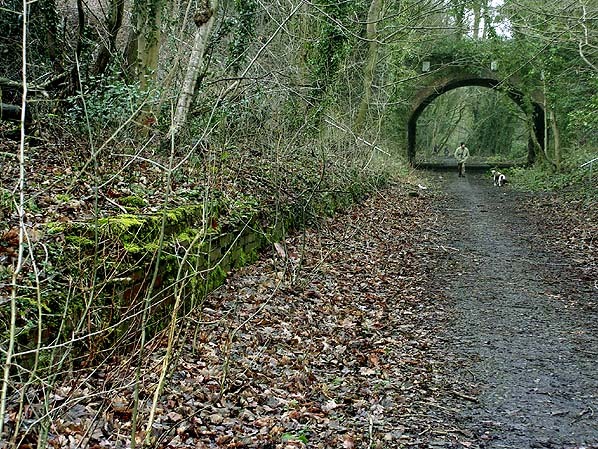 The degraded down platform (towards Brymbo) is obscured by vegetation. 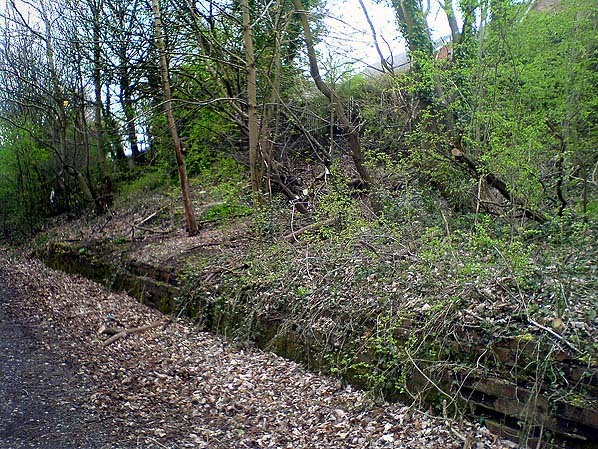 A section of the former up platform at Moss & Pentre station in 2008. The Wrexham Central (up) platform at Moss & Pentre Station looking north east as seen in February 2011. 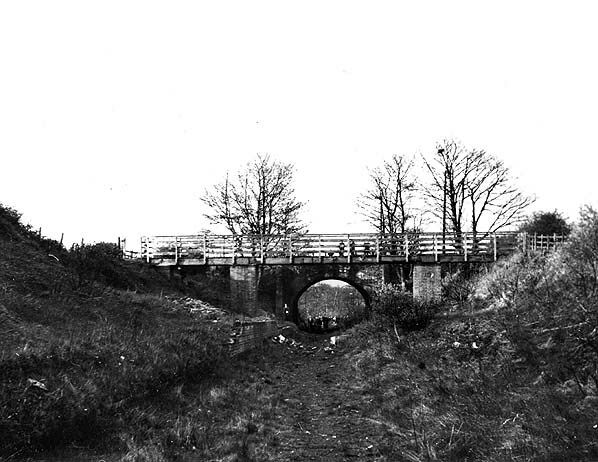 The bridge carried the GWR Moss branch over the WM&CQR Brymbo branch.